Da die Veröffentlichung von Patch 8.1: Tides of Vengeance bereits am heutigen Dienstag, den 11. Dezember 2018 in Nordamerika und im Verlauf des morgigen Vormittags dann auch endlich in Europa anstehenden wird, haben die für World of Warcraft zuständigen Mitarbeiter von Blizzard Entertainment im Verlauf der vergangenen Nacht nun auch endlich die offiziellen finalen Patchnotes zu dieser kommenden Spielversion auf ihrer Communityseite freigeschaltet. 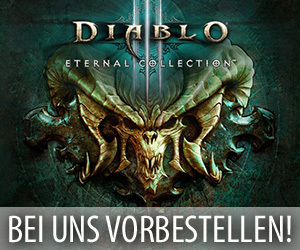 Diese informative Übersicht listet dabei dann wieder einmal ganz genau auf, was für Neuerungen mit Patch 8.1 ihren Weg in dieses beliebte MMORPG finden werden, was für Veränderungen an bestehenden Inhalten geplant sind und welche Features den Spielern nicht direkt am Veröffentlichungstermin zur Verfügung stehen. Zu den Inhalten aus diesem Update gehören unter anderem eine Reihe von Spielbalanceänderungen, Anpassungen am Kriegsmodus, Traditionsrüstungssets für Blutelfen und Zwerge, eine neue Kriegsfront in der Dunkelküste, neue Questreihen rund um Saurfang, Tyrande und die Kriegskampagne, die Inhalte für die zweite Saison von BfA und einen neuen Schlachtzug. Folgend könnt ihr bei Interesse selbst einen Blick auf diese Patchnotes werfen. The Meat Wagon mount is now available to players who purchased Warcraft III: Reforged – Spoils of War Edition. Bloody Runeblade (replaces Embrace of the Darkfallen) – When Crimson Scourge activates, you gain 259 Haste for 5 seconds, and immediately gain 5 Runic Power. Cold Hearted – Icebound Fortitude heals for 1908 every second and its cooldown is reduced by 15 seconds. Frostwhelp’s Indignation (replaces Glacial Contagion) – Pillar of Frost summons a Frostwhelp who breathes on all enemies within 20 yards in front of you for 864 Frost damage. Each unique enemy hit by Frostwhelp’s Indignation grants you 35 Mastery for 6 seconds, up to 175. Helchains (replaces Horrid Experimentation) – Dark Transformations links you and your pet with chains that deal 467 Fire damage every second to enemies between you for 15 seconds. Magus of the Dead (replaces Festering Doom) – Apocalypse and Army of the Damned additionally summon a Magus of the Dead who hurls Frostbolts and Shadowbolts at your foes, dealing 933 each. Chaotic Transformation (replaces Unbound Chaos) – Demon Blades / Demon’s Bite deals 283 additional damage. When you activate Metamorphosis, the cooldown of Eye Beam and Blade Dance is immediately reset. Hour of Reaping (replaces Gaping Maw) – Lesser Soul Fragments restore 467 additional health, and every 40 Soul Fragments you consume causes your next Soul Cleave to grant you a Soul Barrier. New: Thrive in Chaos – Each Fury / Pain spent heals you for 10 / 25 Health. Arcanic Pulsar (replaces Sunblaze) – Starsurge’s damage is increased by 429. Every 9 Starsurges, gain Celestial Alignment for 6 seconds. Burst of Savagery (replaces Craggy Bark) – Consuming Gore grants you 104 mastery for 5 seconds and has a 15% chance to activate Gore. Early Harvest (replaces Fungal Essence) – When Wild Growth expires, it heals the target for 291 if they are injured or it reduces the cooldown of Innervate by 1 sec if they are not. Jungle Fury (replaces Shredding Fury) – Tiger’s Fury increases your critical strike by 339 and lasts 12 seconds. New: Switch Hitter – An ability from your chosen Affinity grants an additional bonus for 20 seconds. Untamed Ferocity (replaces Raking Ferocity) – Combo-point generating abilities deal 86 additional instant damage and reduce the cooldown of Berserk by 0.3 seconds. New: Primal Wrath – Finishing move that deals instant damage and applies Rip to all enemies within 10 yards. Lasts longer per combo point. New: Scent of Blood – Each enemy hit by Thrash reduces the cost of Swipe by 3 Energy for the next 6 seconds. Ursol’s Vortex (replaces Intimidating Roar) – Conjures a vortex of wind for 10 seconds at the destination, reducing the movement speed of all enemies within 8 yards by 50%. The first time an enemy attempts to leave the vortex, winds will pull that enemy back to its center. Dire Consequences (replaces Pack Alpha) – Kill Command deals 525 additional damage, and has a chance to summon a Dire Beast. New: Nature’s Salve – Exhilaration heals you for an additional 11505 health, and its cooldown is reduced by 15 seconds. Primeval Intuition (replaces Up Close and Personal) – Your maximum Focus is increased and Mongoose Bite / Raptor Strike increases your Critical Strike by 10 for 12 seconds, stacking up to 5 times. Surging Shots (replaces Arcane Flurry) – Rapid Fire damage is increased per shot fired. This damage starts lower and increases per shot of Rapid Fire. Aimed Shot has a 15% chance to reset the cooldown of Rapid Fire. Equipoise (replaces Anomalous Impact) – When you are above 70% mana, Arcane Blast deals 150 additional damage. When you are below 70% mana, Arcane Blast’s cost is reduced by 190. Flash Freeze (replaces Winter’s Reach) – Each of your Icicles deals 897 additional damage, and when an Icicle deals damage you have a 3% chance to gain the Fingers of Frost effect. New: Quick Thinking – Your instant cast damaging spells heal you for 784. Wildfire (replaces Preheat) – Pyroblast deals 937 additional damage. When you activate Combustion, you gain 768 Critical Strike, and up to 4 nearby allies gain 96 Critical Strike for 10 seconds. Dance of Chi-Ji (replaces Meridian Strikes) – Spending Chi has a chance to make your next Spinning Crane Kick free and deal 2966 additional damage. New: Exit Strategy – Rolling grants you 73 Avoidance for 2 seconds. Taking non-periodic damage in this time reduces the cooldown of Roll by 5 seconds. Fury of Xuen (replaces Iron Fist) – Your Combo Strikes grant you the Fury of Xuen, giving your next Fists of Fury a 2% chance to grant 1200 Haste and invoke Xuen, The White Tiger for 8 seconds. Glory of the Dawn (replaces Swift Roundhouse) – Rising Sun Kick has a chance to trigger a second time, dealing 11526 Physical damage and restoring 1 Chi. Secret Infusion (replaces Invigorating Brew) – After using Thunder Focus Tea, your next spell gives 80 of a stat for 10 seconds. Straight, No Chaser (replaces Niuzao’s Blessing) – Ironskin Brew increases your Armor by 69, and has an 8% chance to not consume a charge. Good Karma redesigned – 100% of the damage redirected by Touch of Karma also heals you. New: Empyreal Ward – Lay on Hands grants the target 259 armor for 1 minute. Empyrean Power (replaces Divine Right) – Your attacks have a chance to make your next Divine Storm free and deal 2559 additional damage. Glimmer of Light (replaces Martyr’s Breath) – Holy Shock leaves a Glimmer of Light on the target for 30 seconds. When you Holy Shock, all targets with Glimmer of Light are damaged for 421 or healed for 730. Light’s Decree (replaces Zealotry) – Spending Holy Power during Avenging Wrath causes you to explode with Holy light for 1182 damage per Holy Power spent to nearby enemies. 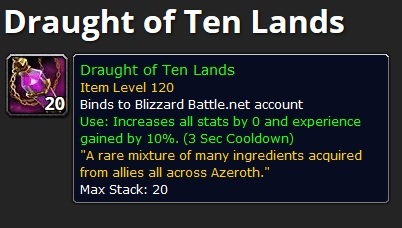 Avenging Wrath’s duration is increased by 5 seconds. Righteous Conviction (replaces Dauntless Divinity) – Your Light of the Protector heals for 1290 additional healing, and is always increased by 200% during Avenging Wrath. New: Death Denied – Leap of Faith absorbs the next 10,736 damage to the target within 10 seconds. While the shield holds, Leap of Faith cools down 200% faster. Promise of Deliverance (replaces Sacred Flame) – For 10 seconds after you cast Holy Word: Serenity, Heal and Flash Heal heal for an additional 472, and reduce the cooldown of Holy Word: Serenity by an additional 1 seconds. Sudden Revelation (replaces Gift of Forgiveness) – Power Word: Radiance has a 50% chance to cause your next Holy Nova to deal 1470 additional damage and reduce the cooldown of Power Word: Radiance by 3 seconds. New: Intangibility (replaces Mania) – Dispersion heals for 50% of your maximum health over its duration and has 30 seconds reduced cooldown. Echoing Blades (replaces Fan of Blades) – Fan of Knives damage is increased by 321. For each of the first 5 critical strikes, it will fire a second spray of knives at that location, dealing 1282 damage to enemies within 8 yards. Keep Your Wits About You (replaces Storm of Steel) – Each time an attack Blade Flurries, increase the chance for Sinister Strike to strike again by 2%. Additional strikes of Sinister Strike deal 1844 more damage. New: Lying in Wait – While no enemy is within 12 yards, heal for 689 every second. While any enemy is within 12 yards, gain 173 Speed. Nothing Personal (replaces Poisoned Wire) – Vendetta poisons the target, dealing 11049 damage over 20 seconds, and grants you 40 energy over 20 seconds. Replicating Shadows (replaces Sharpened Blade) – Each combo point spent has an 2% chance to cause your Nightblade to deal 5843 Shadow damage and spread to a nearby enemy. New: Ancient Ankh Talisman – While Reincarnation is off cooldown, your maximum health is increased by 2590. While you are at full health, Reincarnation cools down 50% faster. Tectonic Thunder (replaces Rumbling Tremors) – Earthquake deals 596 Physical damage instantly, and has a 25% chance to make your next Chain Lightning be instant cast. New: Thunderaan’s Fury – Stormstrike deals 271.5 additional damage, and has a 15% chance to summon Thunderaan’s Fury Totem, doubling the chance to activate Windfury Weapon for 12 seconds. Turn of the Tide (replaces Ebb and Flow) – Both bonuses of Tidal Waves are increased 5%, and spells affected by it heal for an additional 859. New: Call the Thunder – Your maximum Maelstrom increased by 30, and the Maelstrom cost of Earth Shock and Earthquake is reduced by 10. New: Surge of Power – Earth Shock also enhances your next spell cast within 15 seconds (Flame Shock, Lightning Bolt, Lava Burst, Frost Shock). Baleful Invocation (replaces Forbidden Knowledge) – Your Demonic Tyrant’s Demonfire deals 375 additional damage, and summoning your Demonic Tyrant instantly generates 5 Soul Shards. Chaos Shards (replaces Accelerant) – Incinerate damage is increased by 198, and when you fill up a Soul Shard, you have a 5% chance to generate an additional full Soul Shard over 2 seconds. Pandemic Invocation (replaces Deathbloom) – Refreshing Corruption, Agony, or Siphon Life will deal 692 Shadow damage and has a chance to grant you a Soul Shard. New: Terror of the Mind – You steal 770 health every 1 second from targets affected by your Fear spell. Bastion of Might (replaces Reinforced Plating) – Avatar increases your Mastery by 106 for 20 seconds, and instantly grants you Ignore Pain. Cold Steel, Hot Blood (replaces Bloodcraze) – Bloodthirst critical strikes generate additional Rage and inflict a Gushing Wound that leeches health over 6 seconds. New: Intimidating Presence – Intimidating Shout reduces the movement speed of affected enemies by 50%, and prevents the next 8109 damage they deal after Intimidating Shout ends. Striking the Anvil (replaces Executioner’s Precision) – The Tactician effect improves your next Overpower, causing it to deal 902 additional damage and reduce the remaining cooldown of Mortal Strike. Unbridled Ferocity (replaces Trample the Weak) – Rampage deals additional damage and has a 8% chance to grant you Recklessness. Healing Surge, Healing Wave, Holy Light, Flash of Light, Heal, and Regrowth healing increased by 15% in PvP. New PvP talent: Dead of Winter. After your Remorseless Winter deals damage 5 times to a target, they are Stunned for 4 seconds, and your Remorseless Winter’s cooldown is increased by 25 seconds and its radius is reduced to 5 yards. New PvP Talent: Heart of the Wild – You become further adept in Caster Form and Bear Form. New PvP Talent: Leader of the Pack – While in Cat Form, you increase the melee and ranged critical chance of all allies within 40 yards by 5%. Also causes affected targets to heal themselves for 4% of their maximum health when they critically hit with a melee or ranged attack. The healing effect cannot occur more than once every 6 seconds. New PvP Talent: Master Shapeshifter – Your Guardian, Balance, or Feral Affinity is amplified, granting an additional effect. New PvP talent: Alpha Tiger – Attacking new challengers with Tiger Palm fills you with the spirit of Xuen, granting you 30% haste for 8 seconds. This effect cannot occur more than once every 30 seconds per target. New PvP talent: Reverse Harm – Heals a friendly target for 8% of their maximum health and causes 100% of the amount healed to instantly be dealt to the nearest enemy as Nature damage within 5 yards. Generates 2 Chi. New PvP talent: Turbo Fists – Fists of Fury now deals full damage to all targets hit, reduces all targets movement speed by 90%, and you Parry all attacks while channeling Fists of Fury. New PvP talent: Wind Waker – When you or allies are snared, the snare is instantly removed, and their movement speed is prevented from being reduced below 100% for 4 seconds. Edge of Insanity now reduces damage taken and damage dealt by 10% and has a 15 second duration. PvP talent Rippling Waters has been removed. New PvP talent: Demon Armor – Protects the caster, increasing maximum health by 10% and increases armor by 125%.